Thank you everyone who has been so supportive with all the events so far this school year. Your PTO is working hard to plan these events and programs, so thank you for your support. 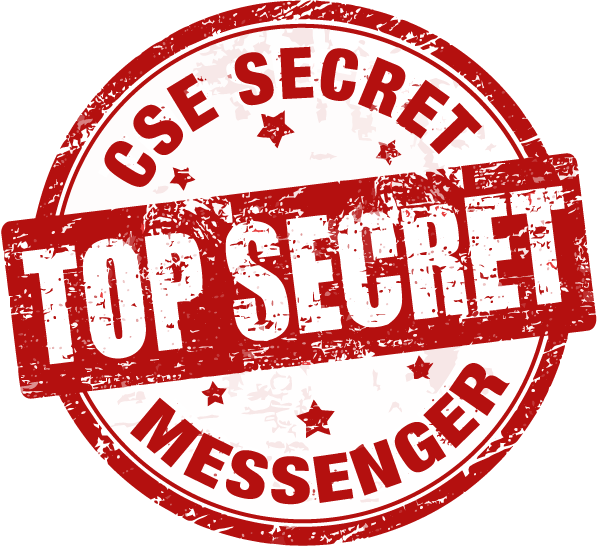 We do have a couple of other ways to support our school: (1) We have an amazing Secret Messenger program in place for our teachers and staff, and we need parents to sign up. Please see the bottom of this newsletter for more detailed information. (2) Do you or your company have an interest in being a sponsor of a CSE event? If so, please send an email to our Sponsorships Chair for information on how to help CSE and market your company at the same time. 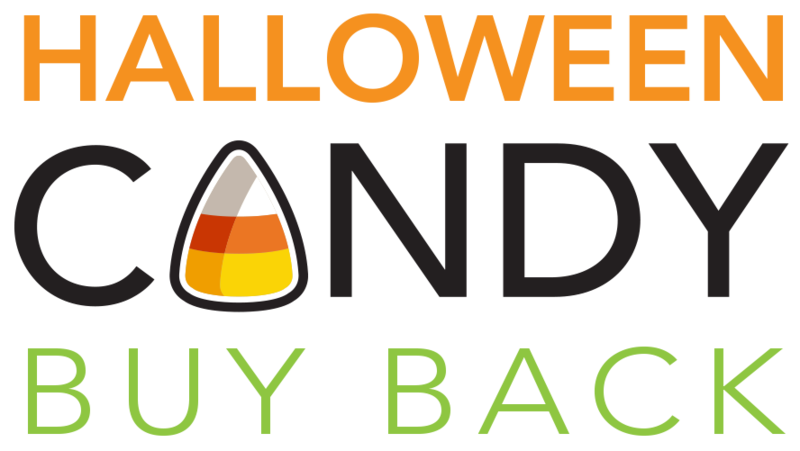 Castle Rock Kids' Dentistry is offering a Halloween Candy Buy Back from November 2-6. Donate the money they pay for your Halloween candy to Clear Sky, and they will match your donation dollar for dollar ($1/lb. and up to $5 lbs. per child)! The 6th graders are selling Butter Braids to help support the Outdoor Education Scholarship Fund. 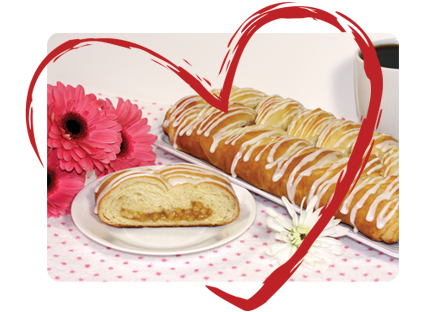 Orders are due November 9; the Butter Braids will be delivered to Clear Sky on November 19 at 3 p.m. If you have questions, please contact Mrs. Rosenblatt for more details. Please watch your Thursday folder for information about our next spirit wear orders. There are several new options available. The deadline for placing orders is November 20. Orders may be placed online or by completing the paper order form. Also, just a little reminder with the weather changing ... we need to be aware that the six parking spots up in front are VIP-reserved spots. Those families donate a lot of money to have those spots, so please let's be courteous of that. Only $5 per wrist band per child! PRE-PURCHASE WRIST BANDS! Avoid the lines and be entered into a spirit wear drawing. Buy your wrist bands ONLINE with PayPal or credit card by Wednesday, October 28. (Please have your receipt on your smartphone to show the entrance table staff.) CASH ONLY will be accepted at the door. VOLUNTEERS NEEDED! We still need 10 to 12 volunteers to help. Can you oversee a carnival game between 6:30 p.m. and 7:30 p.m.? Or can you stay to help clean up? We want Fall Festival to be a fun event for our students, and that's not possible without our wonderful parent volunteers! Thank you! Midway carnival games – Several new carnival games will be set up outside the classroom areas. Games will be open 5:30 p.m. to 7:30 p.m. Afterward, collect prizes at the prize table in the Bistro. Food trucks – Purchase dinner from one of three food trucks: Philly on the Go, Bravo Pizzeria, or Rancho Dos Luceros. Trucks will be located in the bus loop; seating will be available in the Bistro. 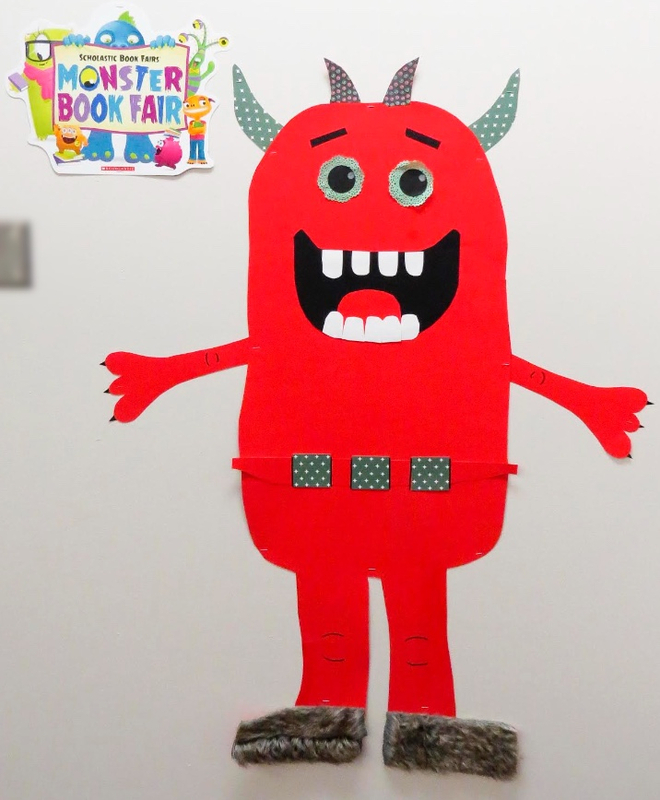 Costume contest by grade – Contest will begin at 7:15 p.m. in the main lobby. 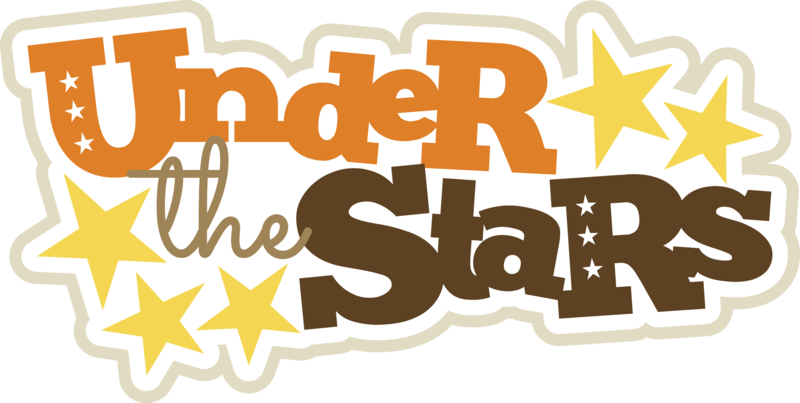 1st grade chili cook off – This year's cook off is sponsored by our first grade students in the Bistro. "It's all about the chili" as they analyze the relationship between cause and effect with their chosen ingredients. Vendor boutique with local businesses – The gymnasium will host 25+ local vendors. Get your holiday shopping done early! Fire trucks and police cars – Visit our local heroes in the Kiss-n-Go lane. Please note: Locations are subject to change if it is raining. 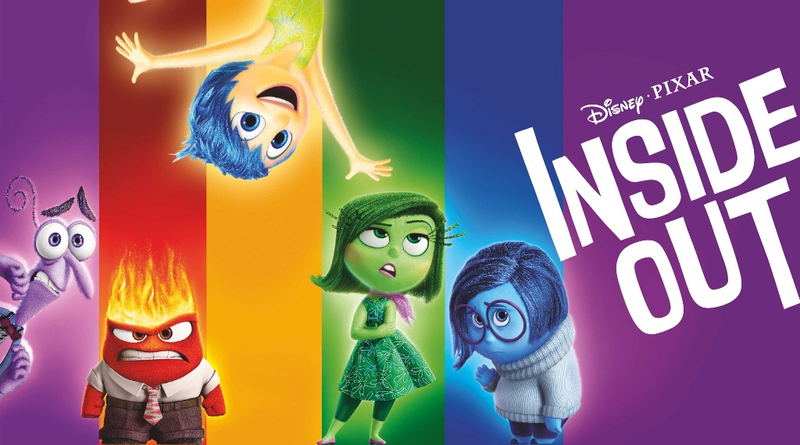 Join us “Under the Stars” for our Inside Out movie night on Friday, November 20​ in the gymnasium. Doors open at 6:45 p.m.; movie begins at 7:00 p.m. Please do not bring in any outside food; we will be selling snacks and water bottles. Bring a blanket, sleeping bag, pillow, or low fold-up lawn chairs to sit on (and don’t forget your favorite stuffed animal). Go ahead – have fun and dress up like a camper, forest ranger, sasquatch (just kidding). 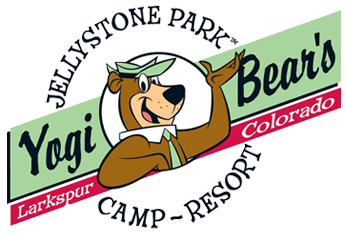 The PTO will be having a drawing to win prizes, including a free one-night cabin stay at Jellystone Park in Larkspur and other movie-themed prizes. We will also have a secret special guest coming to visit all our amazing students! ​Please RSVP so we can plan accordingly! Thank you SO MUCH for making it the biggest and best book fair the library (now called the "Learning Commons") has ever had. We received $4,600 in Scholastic Dollars to buy new books and $2,500 in cash to update our Learning Commons with additional books, technology, and new furniture. And the best part? Students were also able to buy books to continue their love for reading at home! What a win-win! We appreciate everything you do to support the Book Fair and the CSE Learning Commons! The next fair will be in March 2016. Students – Donate a minimum of $1.00 per Spirit Day to participate. Each participant will receive a stamp when the donation is collected at one of the collection locations (near Kiss N’ Go drop off, at the playground, and in the school lobby by the Bison). 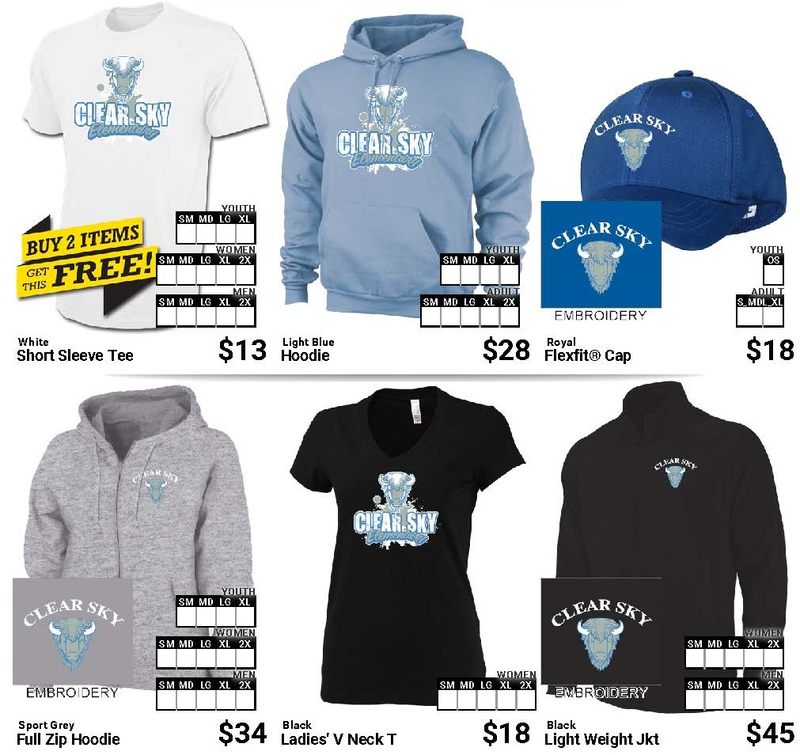 Staff – Clear Sky staff can also donate for each Spirit Day as well as make another monetary donation for Jeans Day. Upcoming Event – A community dinner and family night will be announced in the future as another way to support the Cash family during this challenging time. Mrs. Cash is a vibrant wife and mother of five. 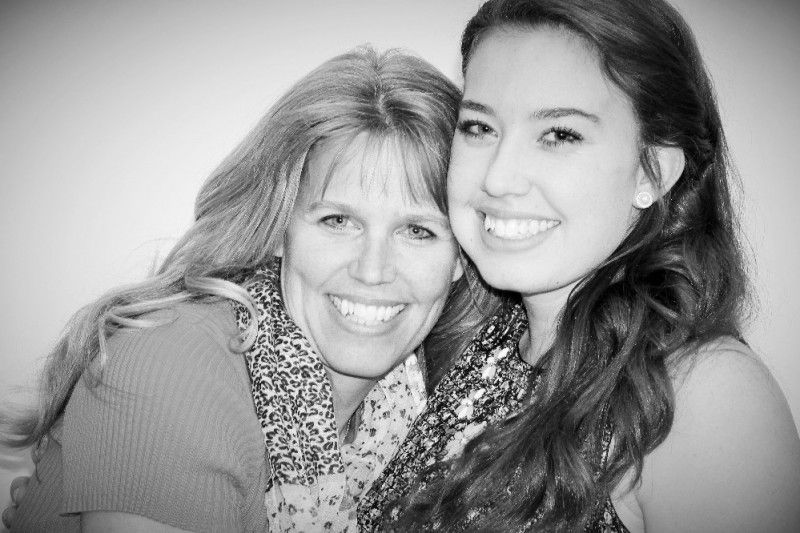 She is a beloved tennis coach and special education teacher at Clear Sky Elementary, as well as treasured daughter, friend, and mentor to many. Her Christian faith is her guide and strength. On May 4, Mrs. Cash was diagnosed with Stage 3 triple negative invasive carcinoma, an aggressive form of breast cancer. The treatment plan is also therefore aggressive. She already started a 20-week chemo regiment on May 21, which will be followed with a double mastectomy and then several weeks of radiation. The hope is for Mrs. Cash to be cancer free by Christmas. This family has already reached some of their family year limits insurance and although a new insurance year began July 1, they are likely to hit those as well. Anything that you can donate would be a blessing and so appreciated. 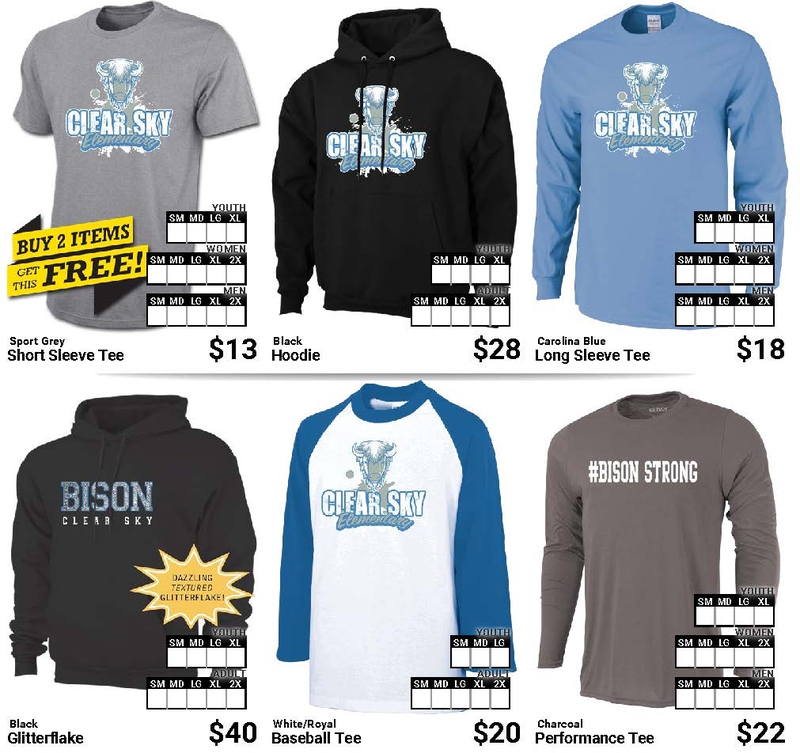 New spirit wear is available! Order online (or complete the paper form in your Thursday folder) by Friday, November 20. The CSE Photography Club is gearing up to run the photo booth at the Bison Fall Festival. The club was given three new high-quality Nikon cameras from the proceeds of the school's yearbook sales, and they are excited to use them! Be sure to stop by the Bungalow this Friday. Photos are $1; money raised will be given to the 6th Grade Outdoor Education program. Photos will be delivered before Thanksgiving. 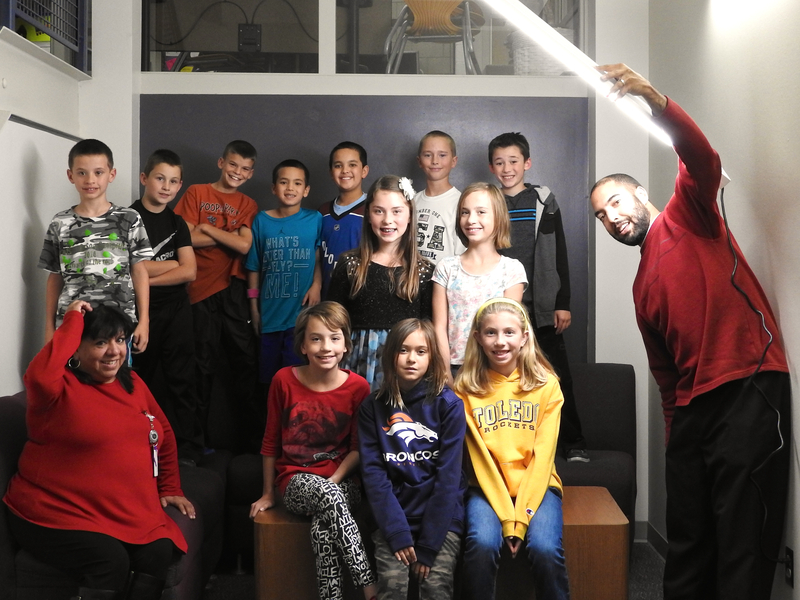 The CSE photography club members work closely with the yearbook staff and PTO providing quality photographs for and at school events throughout the school year. Download the September 21 General Meeting minutes here. PTO functions on the generous volunteer efforts of our Clear Sky families. Throughout the year, there are many ways in which you can give your time and efforts, either AT SCHOOL or FROM HOME. 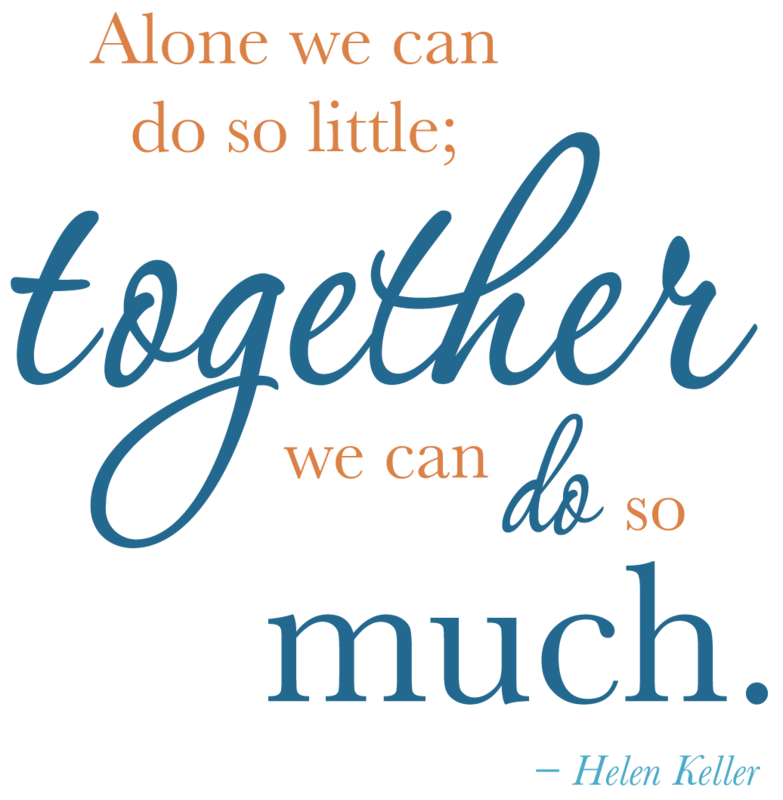 Participating on a committee, serving as a room parent, helping in the classroom, fundraising, and more all require the helping hands of our volunteer families. We understand that people have very busy schedules and that time is precious. Thus, we have made the process of getting involved as easy as possible. Did you know that you can earn cash for Clear Sky by simply collecting labels from products you already purchase, scanning receipts with your smartphone, and registering online with participating locations? These are FAST and EASY ways for busy families to contribute to our school, even if they can’t physically volunteer in the school. Learn more here. Don't miss out on any classroom communications. Room parents will be contacting parents directly, usually via email, with classroom activities, parties, sign ups, etc., as well as providing important information about PTO events. Please opt in to these communications by completing this online form. We have kicked off our 2015-2016 Secret Messenger program, and we NEED YOUR HELP! Designed for your child’s classroom teacher, specialist teachers, educational assistants, and office staff, the Secret Messenger program provides an opportunity to recognize our incredible teachers and staff with random acts of kindness (RAKs). A 100% voluntary and “secret” program, it runs throughout the school year. You can give once or as many times as you wish during your specified period of time. These are to be small tokens of thanks to show our appreciation. (You Don't need to spend a lot of time or money – a thank you not sends a thousand hugs.) You can find out our teacher’s list of favorites and you can add your gifts to the journal so future Messengers have an idea what the teacher has already received. (HINT: This is also a great place to find out our teacher’s favorite things if you’re looking for a birthday or Christmas gift.) You can leave items in the staff mailboxes in the office, or you can get creative and find other ways to deliver these little surprises. If you would like to participate, please sign up for a specific teacher or group of staff members. (Don’t forget our other staff needs some appreciation too!) More detailed information and a Sign Up Genius form can be found on the CSE PTO website. Thank you! 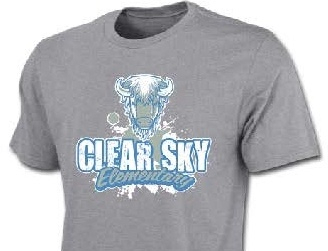 Copyright © 2015 Clear Sky Elementary PTO. All rights reserved.